What do bloggers dream of? One day, a publisher tells you to write your best blog posts ever and publishes them in a book. My book dream is still a long, long time away but our book club is reading a blogger whose dream came true. Molly Wizenberg is the writer of hugely popular blog called Orangette. Hers was one of the first blogs I started to read. Molly is also the author of the month at This Book Makes Me Cook with her "A Homemade Life". Part memoir, part recipe book, A Homemade Life takes you on a journey through every phase of Molly's life. Her days in France, her time spent growing up with her dad. And finally, Brandon, her husband she met through her blog! Mimosas with freshly squeezed orange juice. Crisp yet meltingly soft polenta sticks on a bed of creamy mushroom sauce. Hearty four cheese and spinach cannelloni. Warm chocolate tart with cherry sauce and vanilla icecream. All sitting at a long community table set next to the bar. Named after this central feature in its decor is the Colaba newbie called "The Table". The table is where you sit when you show up without a reservation. People with more advance planning get the regular tables upstairs. Either way, you are guaranteed great food and impressive service. Waiters know what they are selling (a rare commodity I tell you!) and the "consultant chef" is sure to stop by to check on you. The menu's short but surprises by the variety it packs in. 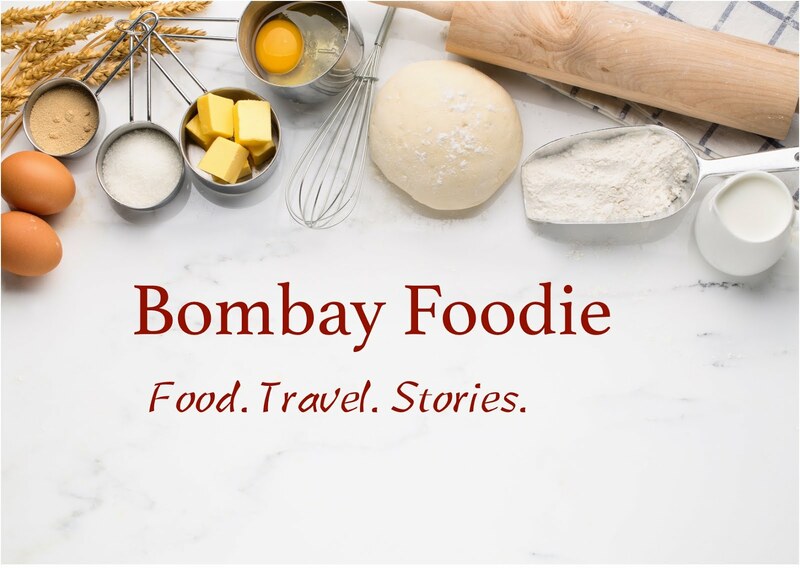 The Table just might be the best thing that happened to Mumbai culinary scene for a long, long time. At the very least, it made for a perfect birthday dinner! The name is from Little Italy, my favorite Italian restaurant. The recipe's all my own, an attempt to recreate the pasta I order every time when I go there. To start off, roughly chop 4 tomatoes and 1/2 red bell pepper. Also peel and smash up 3 cloves of garlic. Put all these in a blender with 2 tbsp tomato puree, salt and a tsp of dried oregano. Blend until you get a thick paste. Wash 8-10 mushrooms, take off the stems and cut them into quarters. Thinly slice an onion lengthwise. Chop 2 tbsp of parsley real fine. Also bring out a tbsp of capers but keep them aside for now. We're right in the middle of strawberry season here, so I figured it's about time I looked through my bookmarked recipes and make the most of the two months that the lovely red berries will be around. This was the easiest recipe of all. First spotted on the gorgeous Tartelette, this soup can make a delicious breakfast or a delightful end to a meal. Either ways, it's not too much effort. I've already made it twice. Since this morning! First you make mint syrup. Mix 50 grams sugar and 1/3 cup water in a small pan. Cook for a minute, stirring to dissolve the sugar then add 2 tbsp of chopped mint. Turn off the heat and let the syrup cool so the mint infuses the syrup. To pass the time while the syrup is cooling, wash, hull and halve a cup of strawberries. Put them in the blender with 2 tbsp of mint syrup. Blend to a smooth soup, adding more syrup if you need (do it a tbsp at a time). Serve in shot glasses. Even as a child, I refused to drink milk in its natural state. It had to have bournvita or drinking chocolate or something that made it brown and nice and chocolate-y before I'd touch it. I've never, in living memory, had white milk yet. Then white chocolate happened. I know it's cloyingly sweet and not even a chocolate, but I spent quite some time this weekend looking for that nice steaming cup of white hot chocolate. It maybe that I've changed, or it may be a whim but I could't get the idea of white chocolate out of my head. The only one willing to make me some was Mocha Mojo. And that too after lot of persuasion and explaining that yes, I did indeed want what they have printed on the menu. And I don't want any of that milk chocolate, thanks a lot! It was a Valhrona that the flustered server brought me, but they added a citron flavor that took away the essence of what I was looking for.